The best men’s and women’s university curling teams in Canada will compete in the 2017 U SPORTS/Curling Canada Curling Championships, March 18-22 in Thunder Bay, Ont. 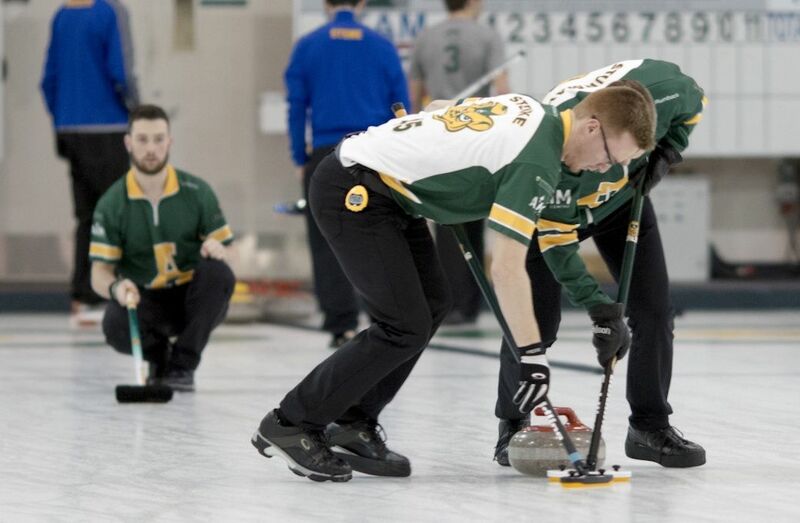 Eight teams of each gender will participate in the 10th edition of the five-day event, staged in partnership between U SPORTS and Curling Canada and hosted this year by the Fort William Curling Club and Lakehead University Thunderwolves. The teams play a round robin, beginning Saturday at 8 p.m. ET and ending Tuesday evening, with the top four finishers qualifying for the semifinals, which pit 1 vs. 4 and 2 vs. 3 on Wednesday at 9 a.m. ET The winners then advance to their respective finals in the afternoon at 2 p.m. ET while the losers meet in bronze medal games at the same time. Selected games from the 2017 U SPORTS-Curling Canada Canadian University Championships will be streamed live for viewing. Please visit www.curling.ca/2017university/ for more information. The women’s field includes reigning Canadian Junior champion skip Kristen Streifel of the University of Alberta Pandas, who recently earned a bronze medal in the World Juniors in Gangneung, South Korea; Nova Scotia’s Kristin Clarke of the Dalhousie Tigers, who won the 2016 Canadian and World Juniors when playing third for Mary Fay; Krysta Burns of the Laurentian Voyageurs, who steered Northern Ontario to a bronze medal this year in the Canadian Juniors in Victorha, and former provincial junior champion Justine Comeau of the University of New Brunswick’s Varsity Reds. The Host Lakehead Thunderwolves will be skipped by Hailey Beaudry. Topping the men’s lineup is the 2015 U SPORTS/Curling Canada champion and 2016 silver medalist skip Thomas Scoffin of the Alberta Golden Bears. 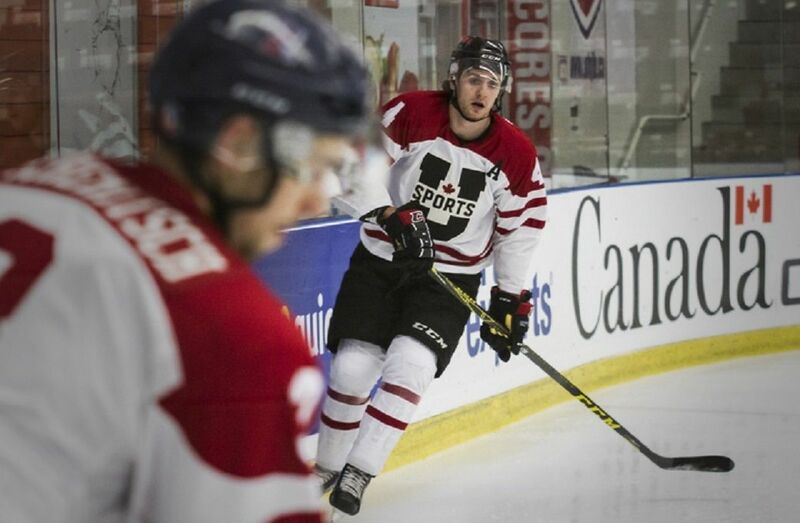 Scoffin, who also appeared in a record seven Canadian Juniors as skip from 2007-13, won the gold medal in Waterloo, Ont., in 2015, defeating Aaron Squires of the Wilfrid Laurier Golden Hawks in the final. Last year, however, Squires successfully avenged that loss by defeating Scoffin in the final in Kelowna, B.C. Other former or current provincial junior champions will also compete — Ontario’s Matthew Hall of the Laurier Golden Hawks, who skipped his province to a silver medal in the 2017 Canadian Juniors in January, losing the final to B.C.’s Tyler Tardi; Robert Mayhew of Halifax’s Dalhousie Tigers, Christopher Gallant of the UPEI Panthers (who also won the 2014 U SPORTS/Curling Canada Curling Championships when playing lead for Matt Dunstone of the University of Manitoba) and Adam Boland of the Memorial Sea-Hawks. Host Lakehead will be skipped by Dave Henderson. The Golden Hawks swept the men’s and women’s titles at the inaugural U SPORTS/Curling Canada Curling Championships in 2008, which were staged at the Guelph and Elmira Curling Clubs. Skip Mike Anderson took the men’s crown while Hollie Nicol captured her first of two consecutive women’s titles. Other winning women’s teams have been skipped by Alberta’s Kelsey Rocque, both in 2015 (at Waterloo, Ont.) and 2016 (at Kelowna, B.C. ), Carleton’s Jamie Sinclair in 2014 (at Regina), Manitoba’s Breanne Meakin in 2013 (at Kamloops, B.C. ), Wilfrid Laurier’s Laura Crocker in both 2012 (at Welland, Ont.) and 2011 (at St. John’s) and Regina’s Brooklyn Lemon in 2010 (at Edmonton). On the men’s side, Alberta is a two-time winner (Thomas Scoffin in 2015 and Brendan Bottcher in 2012 at Welland, Ont.). Bottcher, who won the 2012 Canadian and World Junior titles, also skipped Alberta in this year’s Tim Hortons Brier at St. John’s. Other winning skips are Manitoba’s Matt Dunstone (a two-time Canadian Junior champion) in 2014 (at Regina), Waterloo’s Jake Walker (the 2010 Canadian Junior champion) in 2013 (at Kamloops, B.C. ), Memorial’s Colin Thomas in 2011 (at St. John’s), Queen’s University’s Jon Beuk in 2010 (at Edmonton) and Regina’s Chris Busby in 2009 (at Montreal). Draw results will be available at www.curling.ca while event information, including the rosters and official draw, can be found at http://www.curling.ca/2017university.